Look your best on New Years Eve! Get rid of those stains or fix those rips on your best outfit for New Years Eve! Bring it to us and we will take care of it for you! Thanks to the PDC (Portland Development Commission), we received a grant for storefront improvements. Our building will be undergoing some exterior remodeling. Look at the conceptual rendering to the left! We are getting a new modern awning, new signage, and building treatment! We are looking forward to help make Lents look better! Jimdo met with us for a Q&A! Andy and Young Kim immigrated to the United States from South Korea with two young kids in pursuit of the American Dream. After a lot of hard work and facing several obstacles, they created a successful dry cleaning service and laundromat in Portland, Oregon. They’ve now been in business for over thirty years. The business is family-run and everyone does their part to keep it thriving. Awesome logo: the website has a simple, versatile, and appropriate logo. Good use of icons: The site does a great job of using icons to demonstrate the various services of the business. The icons are modern, easy to decipher, and match the look of the rest of the site. Organized structure: The homepage of the site follows a simple and organized structure, which makes it easy for visitors to digest and immediately find the most important information. With the summer wedding season coming to an end, we want to remind everyone that we can clean your wedding dress and/or bridesmaid dress! Pricing typically starts at $95 for a wedding dress. Bring it in and we will take a look and give you an exact cost. Preservation boxes available upon request! 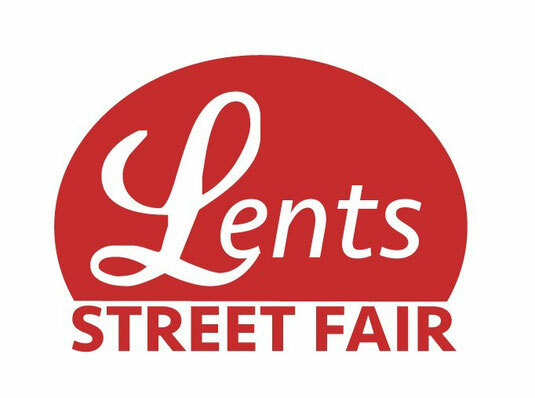 The “Founder’s Day” parade (at 11:15am at 92nd and Ramona) to honor the history and cultural diversity of Lents will precede the opening of the Street Fair. The Parade will feature marching bands, the Belmont Goats, local kids, classic cars, Portland dignitaries and more. As a side note, this is largely a cash only event. Please bring cash when possible. Please consider using transit (Trimet Lines 10, 14 or MAX Greenline) or biking. Bike parking will be provided. This event would not be possible without the generous support of our sponsors, who include Lents Neighborhood Association, Lents Grown, EPAP, EPNO, Eastport Plaza, Lents Auto Body, Foster Feed and Garden, Rose CDC, Portland Development Commission, Green Lents, Zenger Farms, The Eagle Eye Tavern, Working Class Acupuncture and PDX Pipeline. Make sure to give them your thanks!